Watch out world...here comes the Millennials. The Millenial generation spans from those born from 1980-2000. This book is a study of around 1,500 Millennials born from 1980-1990. These are the current 20-30 year olds in our society. As a church leader, I've been looking forward to reading this book. I have a huge heart and burden for the unchurched of our culture and the Millennials are easily the most unchurched generation in history. I think Thom and Jess did a great job in taking a pretty unbiased survey of this generation. It definitely had a Christian slant, naturally, but it felt real. I appreciated the hope that it revealed and, more importantly, the challenge at the end of the book to the Church. The Millennials are coming! Are we ready for them? Great job, Thom and Jess Rainer! This was a very challenging book that church leaders need to read. Follow @TheMillennials on Twitter to see some quotes from the book. Great book. 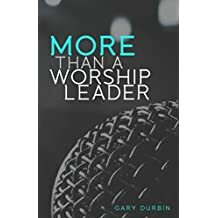 I am close to finishing this book and it has been helpful to me in vision casting and exploring ways to connect to the Millennials.